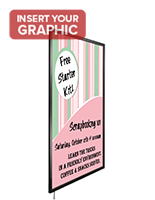 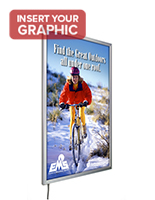 Looking for a way to make graphics stand out? 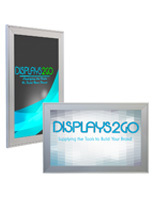 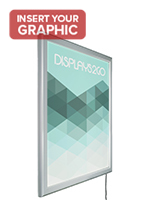 These light box frames are great for illuminating signage in an eye-catching display. 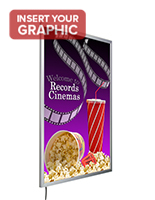 Backlighting will draw attention to movie posters, advertisements and even business logos while staying energy efficient. 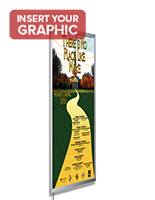 This type of fixture uses T5 fluorescent lamps or LEDs that each last for thousands of hours. 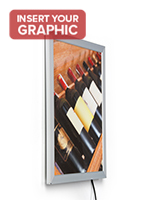 Wall mounted illuminated signs also feature simple snap open enclosures that makes changing graphics easy. 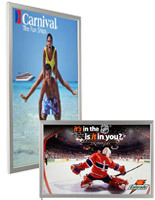 Neutral black or silver finish colors complement any environment or advertisement. 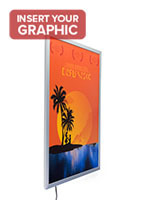 Illuminated panels are ideal for high traffic areas such as casinos, movie theaters, malls and airports. 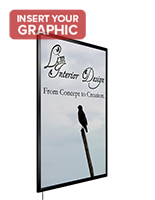 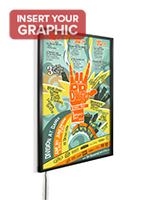 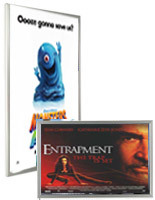 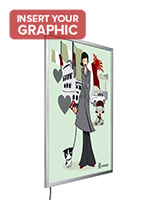 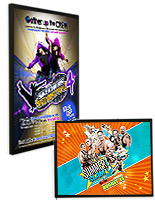 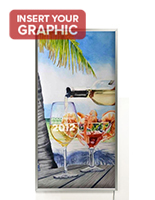 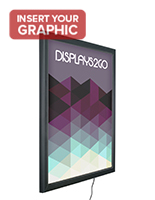 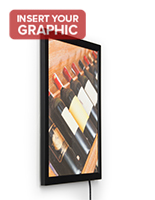 With their different types and styles, light box frames will fill any merchandising role. 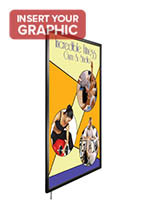 These wall mounted signs for translucent posters are available in many sizes and with different sources of illumination. 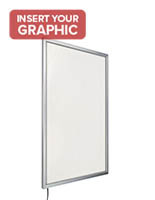 LEDs last for more than 100,000 hours are very energy efficient and allow fixtures to have an extremely thin profile. 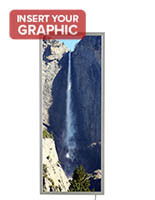 T5 bulbs last for 15,000 hours but are brighter, easier to replace and can be used outdoors. 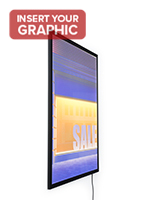 In addition, the LED frames are available in cheaper economy models for businesses with a tight budget. 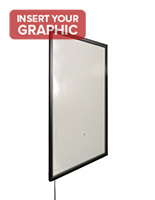 All wall mount poster panels in this category diffuse light to prevent hot or cold spots that could damage prints. 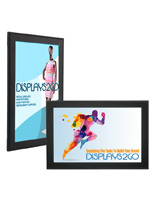 Enclosures like these can be placed in a portrait or landscape orientation for extra versatility. 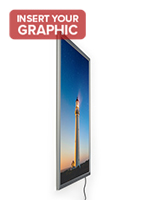 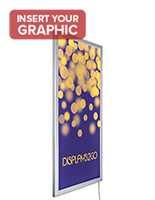 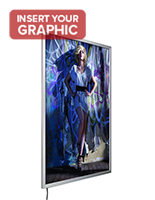 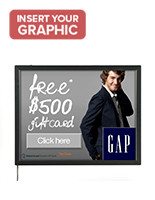 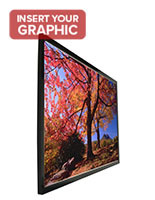 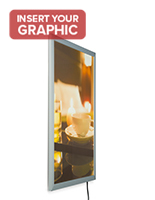 Backlit displays put advertisements in the spotlight and increase product and brand awareness. 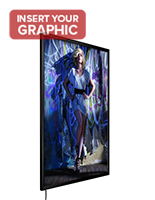 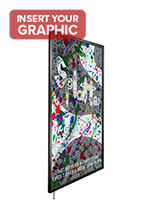 Order an illuminated graphics showcase today!